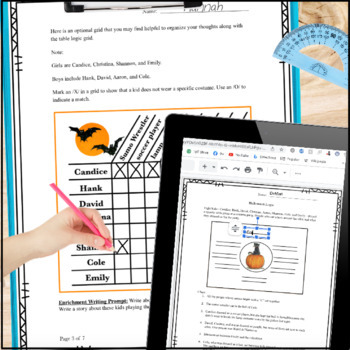 Are you looking for a difficult Halloween puzzle for your students? Here it is! 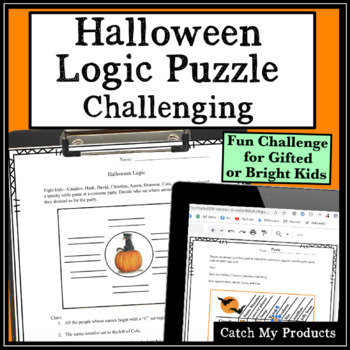 Challenge your gifted and talented or bright students with this very difficult logic problem with a Halloween theme. It's quite hard and geared toward bright, older students. Please don't leave a low rating if your kids can't solve it. It is certainly solvable, but it is tough. Please be aware of this before purchasing this product. If I were to "dumb it down," it wouldn't be what it's meant to be . . . one of the few STRONG challenges for older students. 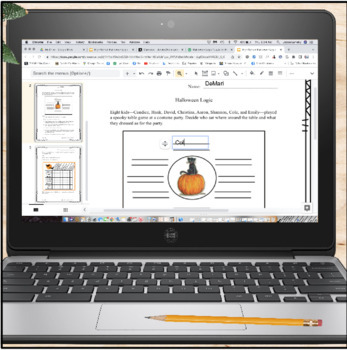 "My students loved this! 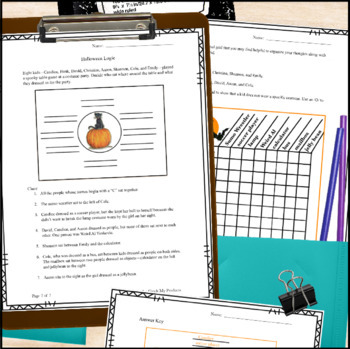 I was sick on Halloween and didn't feel up to prepping a big demo day (chemistry teacher here!) so this was a fun alternative. My students enjoy any riddle reminiscent of "Einstein's Riddle" and the holiday theme fit perfectly! I had 9-12 graders completing the assignments and I only had two out of about 40 finish in less than 10 minutes."